Post the completion of acquisition these stores is expected to be renamed as Apollo Pharmacy. Apollo Hospitals Enterprise Ltd (AHEL) has announced acquisition of Hyderabad-based pharmacy chain Hetero Med Solutions Ltd (HMSL) for a consideration of Rs 146 crore, as per a PTI report. Apollo Hospital sources have said the acquisition involves assets of HMSL and not the company. At present HMSL have around 320 stores across Telengana, Andhra Pradesh and Tamil Nadu. The acquisition will be funded through internal accruals and debt, said company sources. According to Apollo's statement "the acquisition would be in the form of purchase of the business undertaking, on a slump sale basis, subject to completion of due diligence and other statutory formalities". The sales are part of the Hetero Group promoters' decision to exit pharmacy retail business and focus on their core pharmacy and bulk drugs business, it added. Currently, Apollo Pharmacy is the largest organised pharmacy chain in the country and the acquisition would help it to cement the position along with consolidating its operations in the three States. At present there are about 1680 Apollo pharmacies across the country. Shobana Kamineni, executive vice chairperson of AHEL in a statement said, "In order to drive the standalone pharmacy business segment's growth to the next stage, Apollo was on the look out for acquisitions to grow inorganically and considers the Hetero Pharmacy chain as the right choice given its significant presence in the relevant territories." HMSL clocked revenue of Rs 160 crore and negative EBIDTA (earnings before interest, taxes, depreciation, and amortization) of Rs 3.90 crore in 2013-2014. Its stores have recorded a break even at the store level in 2013-2014 while the EBIDTA loss is mainly on account of the backend expenses. On an average HMSL per pharmacy clocks about Rs 15,000 a day. Considering Apollo Pharmacy would not be able to open more than 100-120 stores a year in the region, where it already has its strong presence, it would have taken AHEL three years to open 300-320 stores in organic model. Besides, it would take another one year to achieve the sales per store Hetero Pharmacy currently have. The acquisition helped AHEL to gain four years' efforts in one go, said a source close to the development. Besides, Hetero Pharmacy does not have private label business. The acquisition will open these stores to the private label business of AHEL, which contributes around six per cent of the sales of Apollo Pharmacy, into 320 more stores immediately. This is expected to bring in an additional Rs 50 crore business in private label, they said. The company is expected to complete the acquisition process in two quarters, subject to the due diligence and other statutory formalities and to break even by the end of this year or early next year. The acquisition would not have much of impact on the existing pharmacy business, as the negative EBIDTA in Hetero Pharmacy is marginal and the company expects not to spend more into the acquired assets. Apollo Pharmacy plans to leverage its existing backend infrastructure to drive economies of scale, thereby accelerating profitability for these stores, said the company. Hetero was one of the top organised pharmacy retail chains in terms of number of stores. 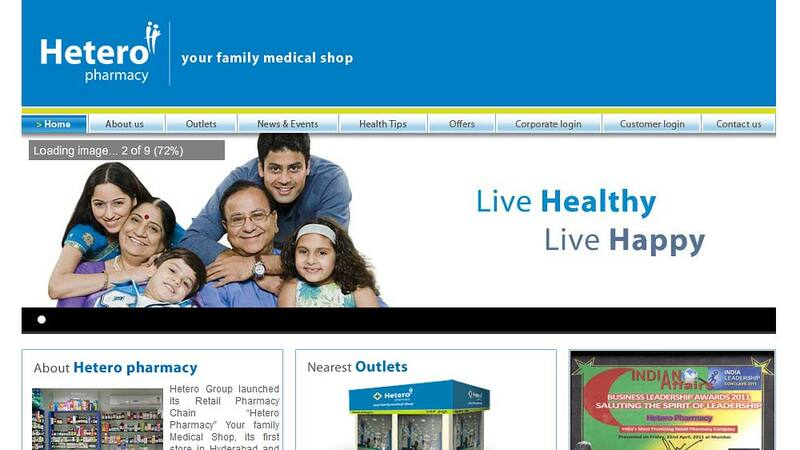 The second largest organised pharmacy chain after Apollo Hospitals, with a higher number of stores is the Hyderabad-based Medplus, which has over 1,050 pharmacies across the country, claims Medplus. The rest of the players, at least in this part of the country have around 50 or 100 stores, a volume which might not be attractive for Apollo Pharmacy to acquire them, said an industry expert. It may be noted that Apollo Pharmacy has recently completed rationalisation of its stores, by closing down outlets which were not profitable and adding new stores. It also has launched large format pharmacy chains, with over 1,000 sq ft, where it has space for more wellness products. About Us: Iyer's Delight: With a vision to spread the love..
Clubbing Knowledge & Business on Same Page..
First health and wellness mall to come up in Jaipu.. Cooking with Fresh, Local Ingredients..